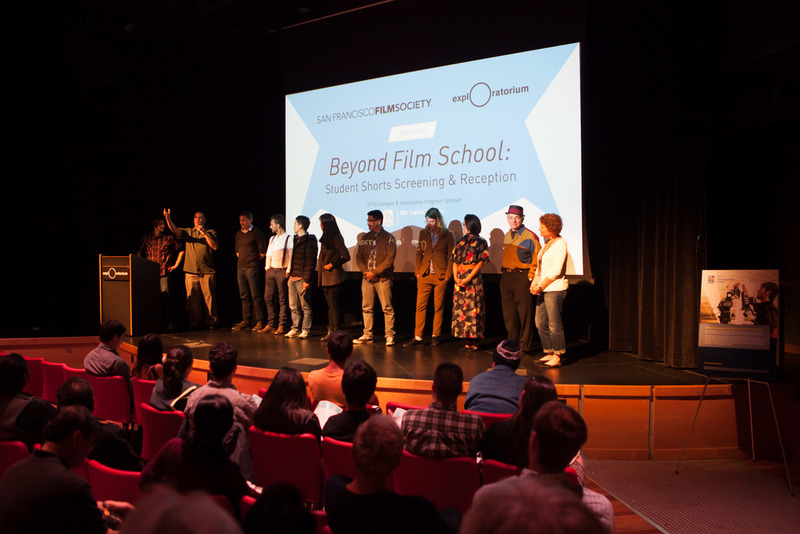 On Saturday, April 5 at the Exploratorium in San Francisco, SFFS Education presented a special a screening of some of the best student works being produced at colleges, universities and film schools across the Bay Areas. Both a showcase and a celebration of local student filmmaking, Beyond Film School featured 12 short films of every style and genre and introduced us to some great emerging new talents. At a reception following the screening, student filmmakers had the opportunity to meet their peers from other schools while also connecting with members of the local film community.